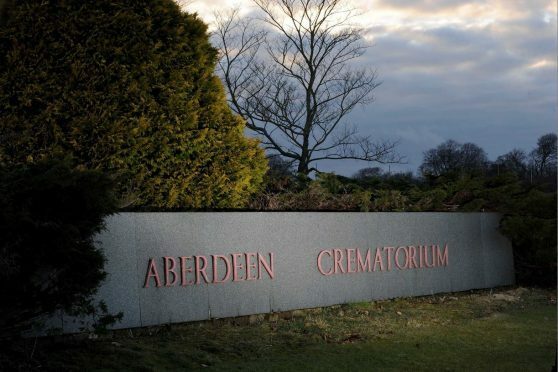 Families affected by the baby ashes scandal have attended a meeting to discuss a potential new memorial for those affected by past practices at Aberdeen Crematorium. A group of about 20 people turned out on Tuesday evening to discuss the proposals. Informal discussions were held on what form it should take, where it should be placed and whether it should be open and prominent or secluded and private. A further two meetings have been scheduled for this Saturday for anyone unable to attend Tuesday’s event. The first is 10.30am for an 11am start and the other is a 1.30pm for 2pm start. The venue for both is the function suite at the Hazlehead Park cafe. The meetings are being chaired by John Birrell from Cruse Bereavement Care Scotland. Mr Birrell said: “There were good discussions at the meeting on Tuesday evening and the information gained from it, the meetings on Saturday, and the paper and online questionnaires, will be the basis of what the next steps are. Anyone affected wanting to attend should contact Bereavement Services on 01224 522485 or e-mail burials@aberdeencity.gov.uk so numbers can be ascertained for catering purposes.